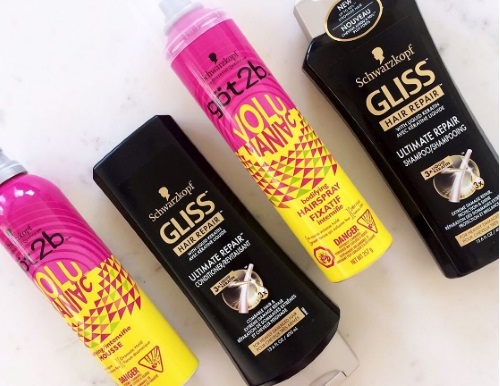 Schwarzkopf innovates with 2 NEW lines of products that will make your hair on fleek! Looking for strong hold and insane volume? göt2b by Schwarzkopf also released a new collection, called Volumaniac. This product line is meant to provide you with crazy volume and body from root to tip and strong hold, to take your style to new heights. Interested in being one of 300 lucky Product Review Club members who will try hair care products from GLISS AND göt2b? Click on the link below before June 4, 2017 to apply! Offer open to Canadian residents only. Selected members will be contacted by email the week of June 5, 2017. For extra consideration, help share this opportunity on social media and remember to include #got2bgliss.